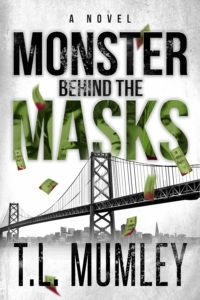 THE SECOND INSTALLMENT OF MY "MASKS" SERIES HAS BEEN RELEASED! Smashwords, GoodReads, Apple, and in print on Amazon. Coming soon to select brick and mortar stores. Bizarre things are happening in the most unexpected peaceful settings. Three Northern California women lead idyllic lives, from a swanky loft in Sausalito and sanctuary in the East San Francisco Bay hills to skiing the French Alps. But it's their families and the next generation they are concerned about. When Caryssa, Anna and Julie discover that dark money is behind these odd occurrences, they help a girl flee from corrupt powers that be---a girl who nearly destroyed Anna's art gallery yet reminds her of the daughters she tragically lost. ... AND THAT GIRL IS RUNNING FOR HER LIFE. WHO IS SHE RUNNING FROM AND WILL SHE SURVIVE?